Fr. Samuel was assigned as pastor of St. Nicholas Orthodox Church in Beckley, WV on September 1, 2002, his first assignment as priest and pastor. Fr. Samuel received a Master of Arts in Applied Orthodox Theology from the University of Balamand/Antiochian House of Studies on July 18, 2002, the culmination of a number of years of study. 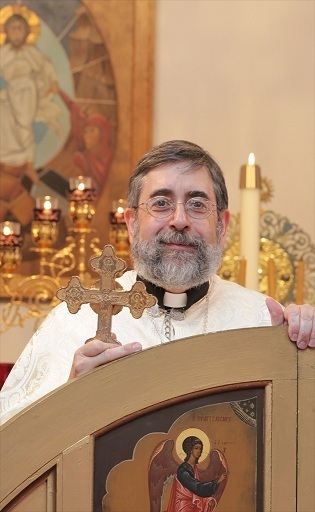 He was Ordained to the Holy Deaconate on August 16, 2002, to the Holy Priesthood on August 17, 2002, and elevated to the dignity of Archpriest on April 29, 2012. He is married to Kh. Loretta Jett Haddad, who serves St. Nicholas Church as chanter and choir member, and is active in the work of the Antiochian Women (AOCWNA) regionally and in the parish.